An attractive and very modern one bedroom ground floor apartment /holiday home with satellite television and unlimited FREE wireless internet!! 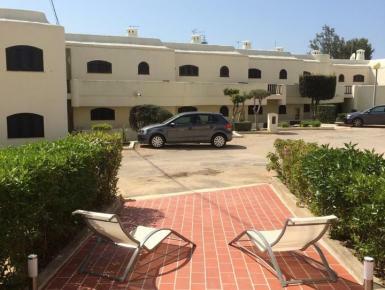 The property is located within a very popular & friendly holiday destination of Carvoeiro. It has its own private driveway and patio area for plenty of sunbathing (2 x sun loungers provided) and also a roof-top-terrace offering all day sun which provides panoramic views of the cliff tops, golden beaches and the deep Blue Sea. The apartment is fully furnished to a very high standard with all new furnishings and equipment which provides comfortable accommodation for up to four people.